E.L.F Cosmetics (or BH Cosmetics) provides affordable, cruelty-free makeup and beauty products. The ELF Cosmetics line of makeup is often comparable to several major brands including Revlon and Maybelline. Their product line includes makeup for eyes, lips, face, and skin care. The ELF Cosmetics affiliate program is available through several affiliate networks (FlexOffers and VigLink being the two most commonly used). Affiliates can expect to earn up to 9% commissions through each sale and referral. Countries accepted are North America. The ELF Cosmetics program is open to all pending approval. Offers are directed through elfcosmetics.com and eyeslipsface.com. Products are as low as $1 creating lower commissions than most other high-profile brands but this creates a great opportunity to reach a wider audience. The ELF affiliate program includes banner and text creative/copy and weekly updates to help affiliates increase their revenue. Want a great brand to grow your makeup earnings? ELF Cosmetics is for you. 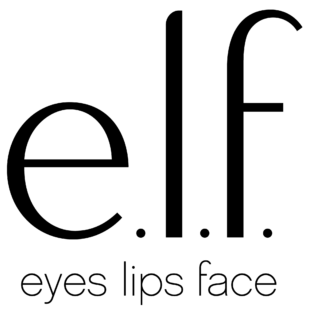 ELF’s brand identity is providing luxury makeup and beauty products at an affordable price. They are a brand in-tune with their customer base and proactive with cruelty-free production. What does ELF offer that other brands cannot? Are there any setbacks when promoting ELF promotions? We like ELF products because they’re an affordable alternative to otherwise expensive, comparable offers. Their beauty line is limited but covers all the basics. Their success with national retailers is a telling sign this is a company built for longevity. Affiliates in the makeup niche should understand the value of offering several options for their audience. Not everyone can spend hundreds building out their makeup collection. ELF creates an opportunity to earn with makeup products without alienating a considerable audience segment. In all, don’t expect major earnings with the ELF affiliate program. But, do expect a greater satisfaction with your audience – you’re giving them alternatives vs forcing expensive brands their way. This leaves an opportunity to upsell while exploring all kinds of makeup without the high upfront cost.